If you have a small amount of space to plant a vegetable garden, you are probably eager to get the most out of it. Succession planting is a great way to accomplish this. 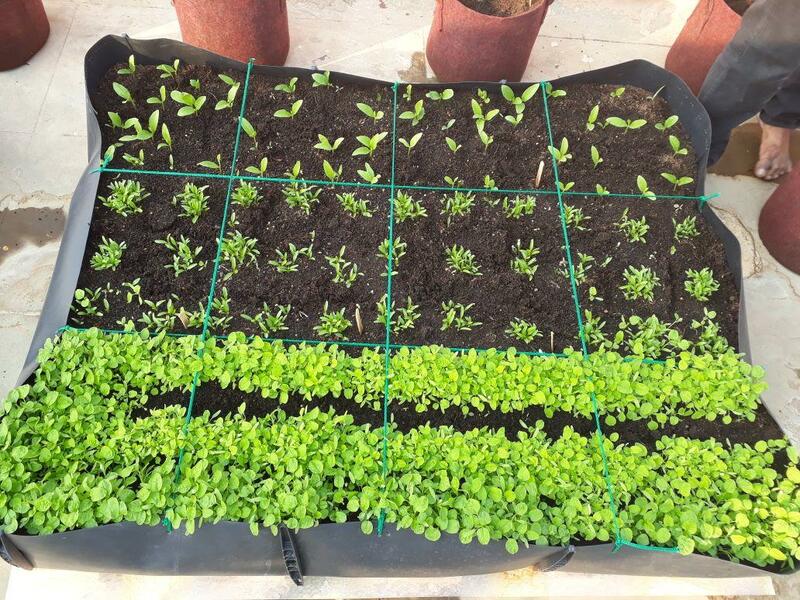 This practice involves growing the same or complementary crops in the same spot continuously throughout the season in order to maximize the yield a garden can produce. In other words, succession planting combines the efficient use of space and timing to obtain better results. Many novice gardeners mistakenly believe that planting and sowing seeds is a one-and-done process that only happens at the beginning of the growing season. So, they head out to the garden each spring, get some plants and seeds in the ground… and wait for the magic to happen. Unfortunately, following this one-off approach to planting is almost guaranteed to cause many peaks and valleys in what can be harvested throughout the season. If you want your garden to produce an abundant supply of fresh produce all season long, you need to plan ahead for it. To create a successful succession-planting plan for your garden, you need to take a number of variables into account. For example, you’ll want to consider how long each crop takes to reach maturity, how long it produces once mature, and which crops can be harmoniously planted in the same space at different times throughout the season. Although the number of variables involved in succession planting may seem a little intimidating at first, don’t let that discourage you. It may take some practice, but you can definitely get the hang of it. If you are just starting out, choose only one or two beds or containers to practice in your first year. Also, take detailed notes in your garden journal throughout the growing season so you know what worked – and what didn’t – when next season rolls around. Then, next to each plant variety on your list, note how long that particular plant takes to reach maturity, is it heat or cold tolerant, how many hours of sunlight it needs each day, what type of soil it prefers, and its spacing requirements. The back of seed packets and garden catalogues are great starting points for this exercise. Once you know what you’d like to grow in your selected space, decide if you want to focus on growing the same crop throughout the season or if you want to try inter-planting more than one variety. Lettuce and herbs like basil and cilantro are great for repeated sowing all season long. However, if you want to try more than once crop, try to find a couple of recommended companion plants for your favorite choices. If you need more information on companion planting, there are tons of great resources and books available on this topic. The best ones provide a lot of great information to help in your planning process. Online resources are nice, but it’s always good to have a hard copy on hand for future reference. Although succession planting may seem complicated at first, you’ll be amazed at how quickly you can make it work for you. By applying the principles of succession planting to your own backyard garden, you’ll soon be growing more fresh fruits, vegetables and herbs than you ever thought possible.